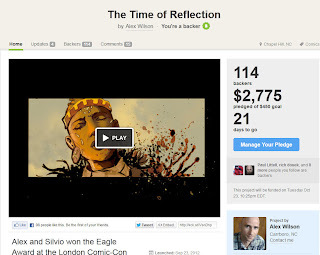 CE alum and Creators Workshop member Alex Wilson has launched a Kickstarter campaign for his and artist Silvio dB's comic project The Time of Reflection. The story crosses the fairy tale of Snow White with the cross-cultural Trickster myth in a traditional high-fantasy setting. It was selected as one of two finalists by judges Steve White, Tony Lee, and Mark Buckingham, and then was named the overall winner via a vote. 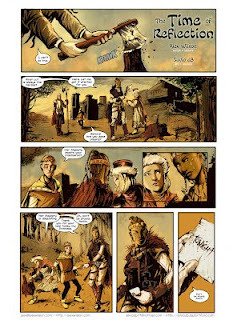 While the story was printed in the London Comic-Con program, it hasn't otherwise seen print. Alex's Kickstarter is to produce two versions of the story: (1) a booklet (12 glossy pages) on thick paper stock with the complete 5 page comic, character sketches, and Silvio's gorgeous concept illustration on the back cover; and (2) a signed and numbered Limited Edition version which, at 28 pages, will include the story, the full script, the complete unlettered pages, the layouts, and some additional commentary on the making of the comic. The Kickstarter reached its initial goal in less than eight hours, and, as of this writing, stands at over $2,700 with more than 100 backers. 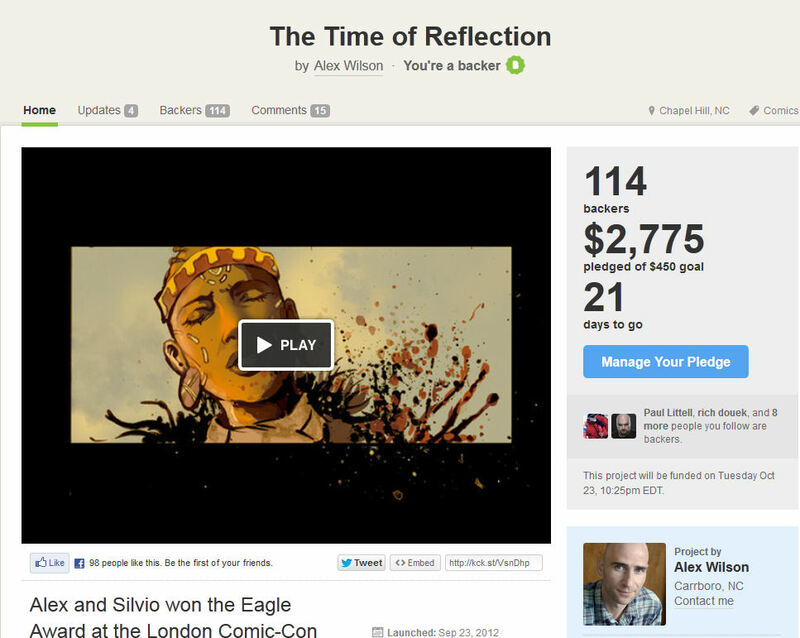 Alex has since set several stretch goals, the latest at the $3,000 mark. In addition to the book itself, those pledging can receive other incentives including art prints, original sketches, jigsaw puzzles -- and even the opportunity to have Alex create an original song commission for you! With more than twenty days left as of today, there's still plenty of time to jump on this Kickstarter! Best of luck to Alex and Silvio with the Kickstarter!